What is it about this time of the year that brings out the best out of those around you? We live in a time of change. Even so, there is one thing has remained virtually the same: celebrating Christmas. Even with religion taking a less prominent role in western societies, the enthusiasm and joy around the holidays continue. The popularity of holidays such as Christmas is partly attributed to the psychology behind these days. Humans are creatures of habit, and they tend to hold onto things that are familiar and easy. Our brains are wired to use cognitive biases to move with ease through life. The holiday season is no exception. At Crobox, we often talk about “cognitive biases” and their impact on decision-making and attitudes. This term may need a bit of clarification. Cognitive biases are mistakes in cognitive processes like reasoning, evaluating, and remembering. These can be the result of automatic processes that happen within our subconscious mind and are often based off of a person’s preferences and beliefs. With this in mind, it’s worth noting that not everyone has the same cognitive biases because we don’t all have the same experiences to shape our beliefs. It’s a balanced mix of a person’s the nature and nurture. Those of us who do celebrate the holidays can probably all relate to the traditions that come along with it. My family is huge on traditions. Since before I was born, all of the cousins would go to McDonald's on Christmas Eve with our uncle. There, we would write our letters to “Santa” and proceed to the mall to sit on his lap and give them to him. Now, you have to imagine; we had this tradition long into the adult lives of many of my cousins. Thankfully, however, I am the youngest. So by the time I was about 21 (with the oldest being well into their 30s), we stopped this tradition and decided we’d just eat a nice lunch at a (non-fast-food) restaurant instead. So you may be asking, “Why would these grown adults go sit on a fake Santa’s lap for so long?” Well, to put it bluntly, we just couldn’t bear letting go of this tradition. It would feel as if we were letting go of parts of our childhoods - parts of our constructed selves. We learn traditions through others. Social psychologists have found that the reason behind the creation and continuation of traditions is a combination of social learning and punishment avoidance. Individuals tend to look at others to gauge the most appropriate way to act in situations. This herd-behavior is the underlying cognitive bias beneath most processes in our lives, from culture development to trends and innovation adoption. We learn from others to avoid acting in a way that goes against the self-image we’ve built. So, we learn how traditions like putting your shoe out for Sinterklaas (the Netherlands) or Père Noël (France), your stocking out for Santa (U.S. & U.K.), or lighting candles for Hanukkah (Jewish) work by watching those around us. We want to remain consistent in our behavior. But that leaves the, perhaps, more perplexing question. Why do we continue our traditions? Researchers attribute this to avoiding the threat of punishment. Yep - sounds extreme. But when you separate punishment from the socially constructed meaning, it makes more sense. People don’t want to stop traditions because they are unsure of what the consequence may be. We all want to remain consistent in our behavior. Whether it’s staying consistent with our words, habits, attitudes, values, or beliefs, there is an automatic response to continue doing things in the way they were previously done. This reliance on consistency helps us make decisions in everyday life. So when it comes to that special time of the year, it’s always easier to fall back on what you’ve done your whole life than take a step into the unknown. At the same time, consistency allows us to avoid negative emotions like disappointment, embarrassment, and loss. Ultimately, you can probably understand why my cousins and I stopped sitting on Santa’s lap. The desire to be consistent to avoid the punishment of loss or disappointment was overruled by the avoidance of embarrassment, finally giving us the motivation we needed to adapt our traditions to our grown-up lives. Another interesting phenomenon of the holidays is the overwhelming joy permeating from the masses. Regardless of your home country, there’s just something in the air that brings happiness to many. Various factors contribute to the joy of people throughout December. Or, conversely, lack thereof - I’m talking to you Grinches of the world. As soon as December rolls around, cities and towns are covered in those familiar sights and scents of your childhood. These symbols often lead to feelings of nostalgia, which according to research, makes people more optimistic about the future. Reflecting on positive past experiences affect individuals on two levels. First, it induces more social connectedness, which then increases self-esteem. These positive reactions lead to more positive evaluations of the future. We can’t resist the scents and sounds of the holidays. Speaking of nostalgia, some of the most nostalgia-inducing factors, scents and music, can be found virtually everywhere at this time of the year. And naturally, this is all done with good reason. One study found that consumers who walked into a store with both holiday smells and music were more likely to evaluate a store, its merchandise, and store environment more positively than those who were in a store with one or none of those elements. Scents have been found to elicit an attraction effect where individuals smell a pleasant or familiar smell and are drawn to the source. Meanwhile, playing themed music has been found to affect mood and perceptions of time. Retailers use this to their advantage to subconsciously influence our moods by filling their stores with those overly cheesy (but equally amazing) holiday songs which we can’t help but sing along. 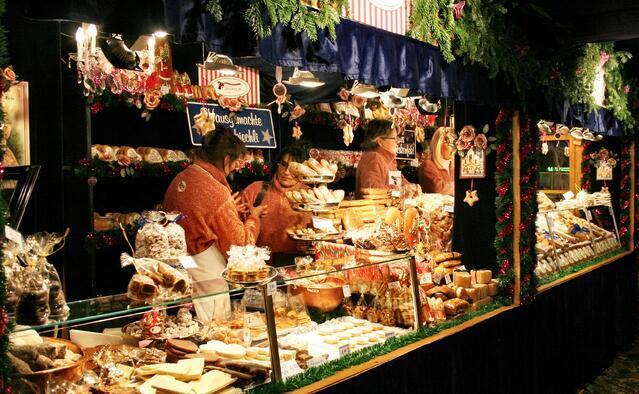 Not to mention the countless Christmas stands where scents of spice and baked goods waft from the walls. We love to give (back). 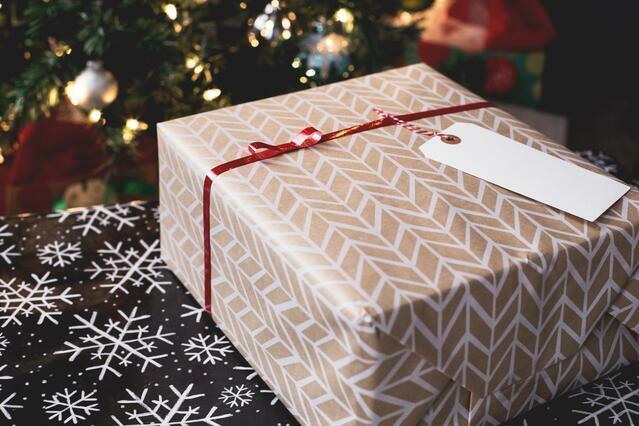 Next to the sense stimulating factors, gifts are also a driver of this season. And while this is mostly a commercial objective, the idea behind it seems to have stuck. In fact, many people are happier spending money on gifts for others rather than spending that money on themselves. Gifts show the way in which you regard a person. Hence, the general tendency for people to prefer thoughtful gifts over costly ones. These presents show that the giver has been generous in their thoughts and time. Generosity doesn’t only result in more appreciation from the person receiving the gift, but it also impacts a person’s self-esteem, happiness, and positive view of the world. This, in turn, has an impact on the person’s general mood and outlook around the time of receiving the gift. I pride myself on being a great gift giver. So much that my excitement slowly builds the months leading up to the event, reaching a climax on the day. For me, nothing beats surprising and delighting someone with something they would have never thought of themselves or would feel too guilty to buy it. But as much as I’d like to believe that every gift we give is purely out of the goodness of our hearts, realistically speaking, that’s probably not always the case. Much of the motivation stems from the cognitive bias of reciprocity. Reciprocity is the need to return the favor when someone does something for you. Cialdini explains hat there is a human obligation to give, receive, and repay, which is present in virtually all cultures. This powerful principle of human behavior is a significant driver of holiday giving - and perhaps stress. But, luckily, once reciprocity is fulfilled, overall satisfaction increases and the effects of generosity surface. The holiday season also offers an opportunity to escape from the reality of work or school. That is if you allow yourself to turn off for a few days. Stories play an important role in society for a reason, as they are the prime method of sharing knowledge and entertainment to the masses. Especially holiday stories, as they play prominent, value-driven roles in their respective cultures. We like those warm and fuzzy feelings. The most popular holiday stories are generally representative of the values that represent this time of the year. They commonly feature themes such as kindness, charity, gratitude, love, and hope. And because of the persuasive nature of stories, these themes are often induced in their audience. This happens through of a process called transportation. This psychological process describes how submerging into a story influences individuals’ attitudes, intentions, and behavior. 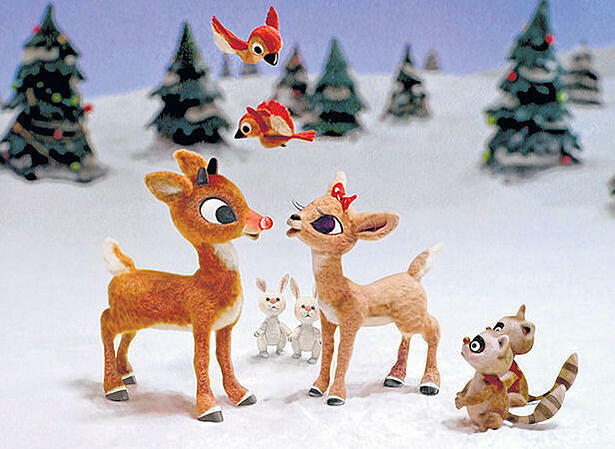 So when viewers watch holiday movies, they are subconsciously driven to reenact those same values in their lives. And, oftentimes, take on the mood that was set in the film. 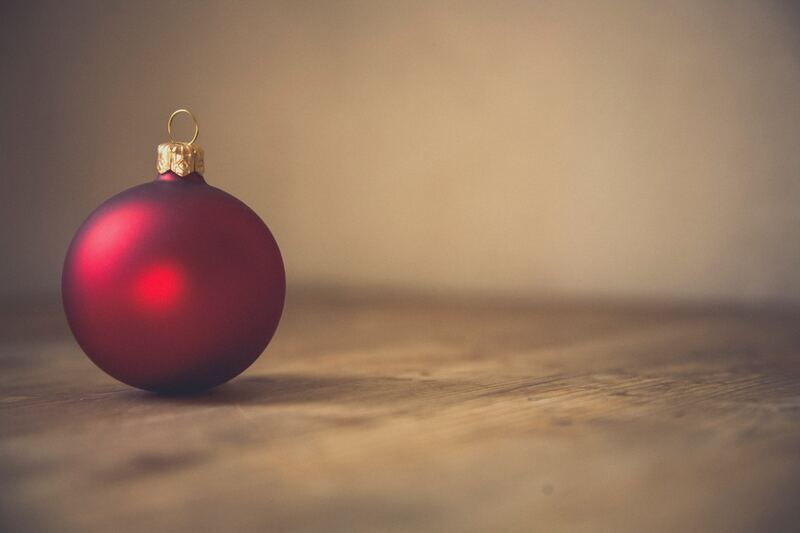 Why understand the Psychology of Christmas? The holiday season is a special time of the year that brings out different sides to us all. And it’s just these changes in the way we act that are fun to reflect on and dissect to find those unique quirks of human behavior. Understanding and being able to recognize certain patterns in behavior aids you in being a more conscious consumer or retailer. Whether it is analyzing holiday craze, your habits, or the actions of your target audience, staying aware and critical is key. As this can lead to a more efficient and purposeful approach to change. Crobox’s technology uses various cognitive biases to help consumers deal with choice overload and be happier with their purchase decisions. Want to learn more about implementing this on your website? Check out our white paper.